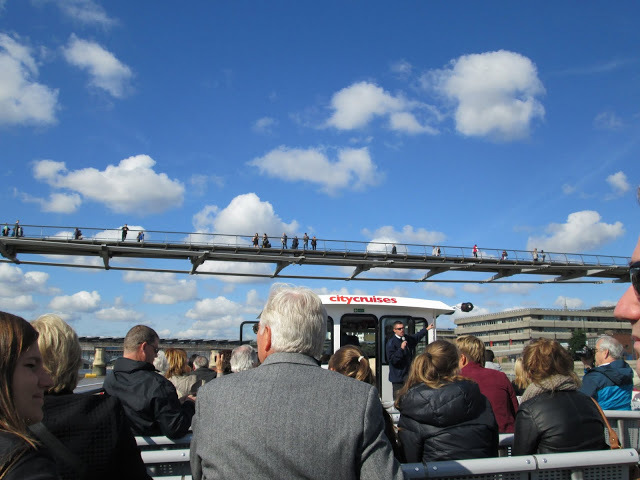 Top 3 Ways to See London – City Cruises is 2nd Best! 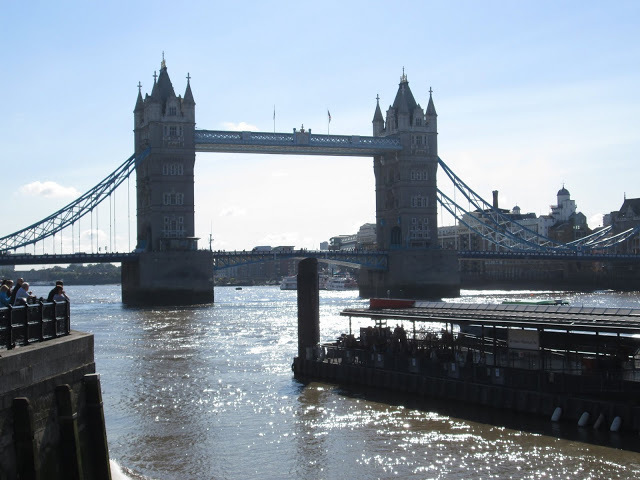 I’ve written about my 3rd best way to see London (The Big Bus Tours).Now let me show you my second favourite to see the great historic city of London. It’s lower reaches flows through Central London, hence appearing to be the beautiful water that divides the city. 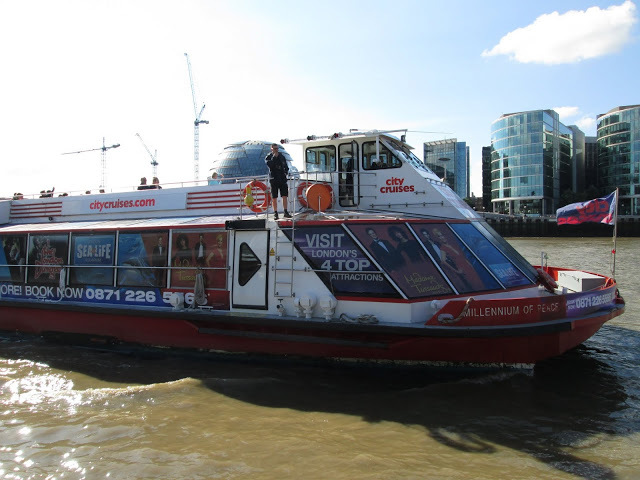 City Cruises operates a comprehensive sight-seeing tour of central River Thames. 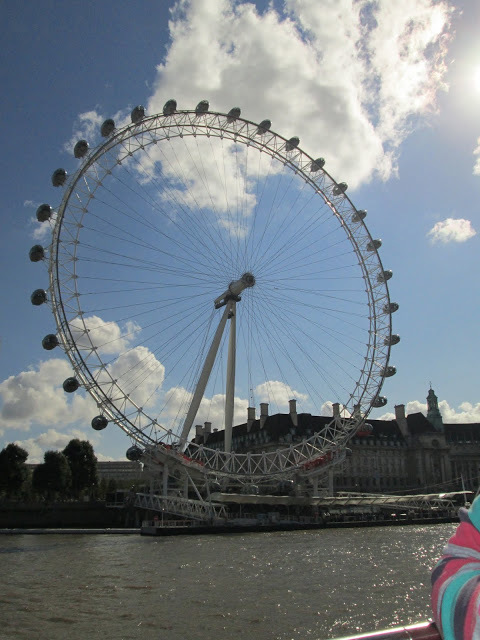 We took the Westminster to London eye route. This is a very direct one way route, and the best way to describe this tour is “short and concise”. I never learned so much information in under 30 minutes! I have a mini-fascination with bridges so I was really thrilled that we passed by 3 main bridges that connect the 2 sides of central London. 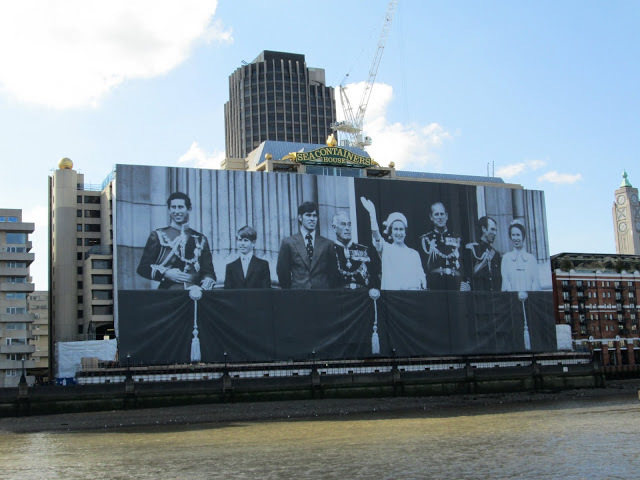 And in honour of the Queen’s Diamond Jubilee, a huge , HUGE photo mural of the Royal Family circa 1970’s was on display. 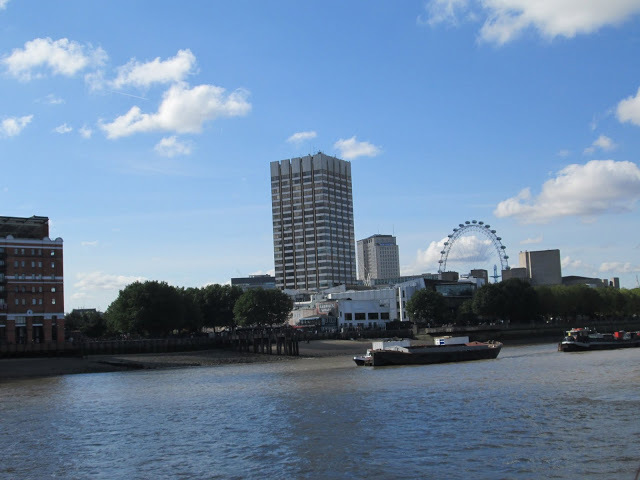 Conclusion: The City Cruises tour is the perfect way to get your bearings of Central London. I’m not the most talented navigator (my husband will wholeheartedly agree), but once I passed through the “heart” that divided the city, I was walking my way around London without any fear of getting lost! Passing through the river and seeing for myself what’s on the East or West / left or right side, it was really easy imprinting that on my mind and remembering it as I wandered independently later in the day. Pros: Cheap! (in my opinion). 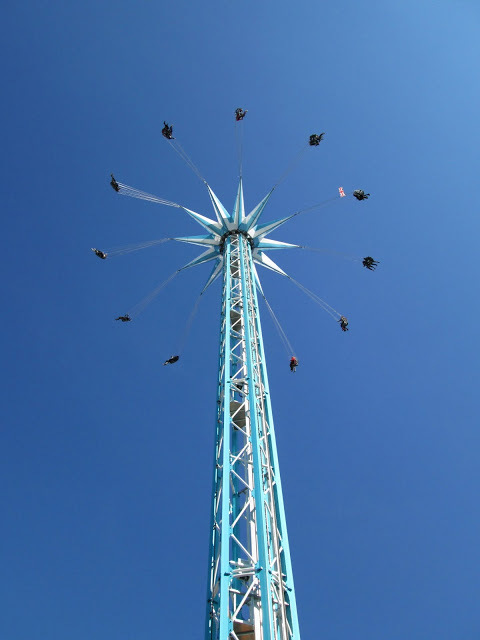 Prices start at 8.40GBP per adult. Very quick, direct and informative. It was a smooth ride, no time to get seasick! 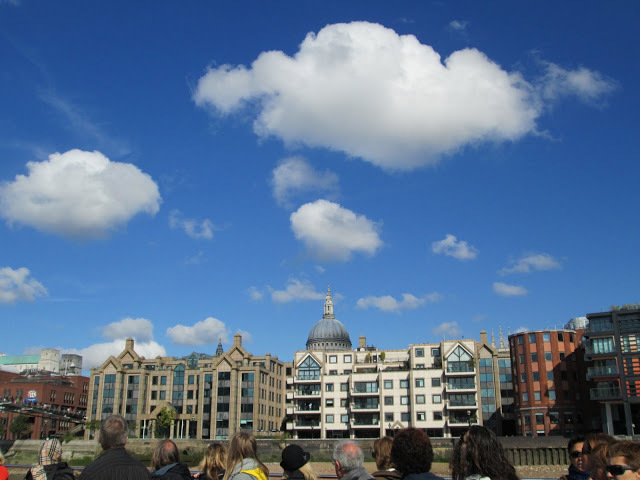 I would suggest this tour if you are planning to walk around Central London and explore on your own. Do this in the morning before you start your exploration. You will be confident not to lose your way around the city, I assure you. Cons: nothing really. Only thing I can suggest is, don’t make this your Only way to see London. You will still need to accompany this with a land-based tour of the city. Yup, I’m one of those little people up there! 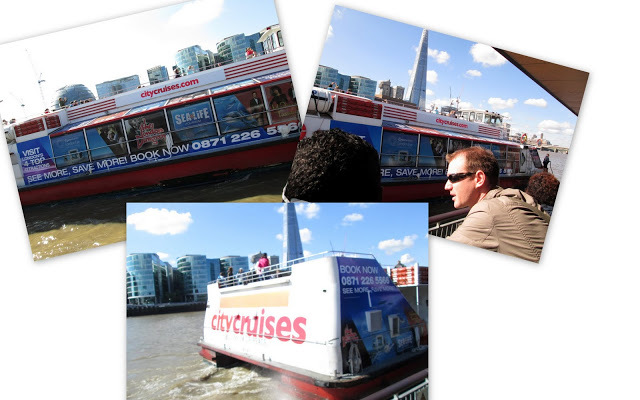 This trip, along with the City Cruises tour, was sponsored by Etihad Airways as a familiarisation trip. All opinions, however, are entirely my own.